Print Who spends the most on their holidays? 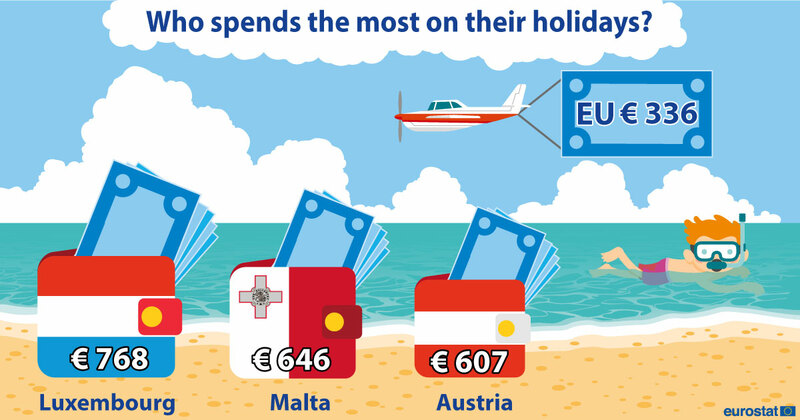 Luxembourgish residents spent the most per holiday trip (around 768 Euro) in 2016, followed by residents of Malta (around 646 Euro) and Austria (around 607 Euro). On average in the EU, residents spent around 336 Euro per holiday trip in 2016. More interesting information is provided in the Statistics Explained article Tourism statistics- Expenditure.